It is certain that, over the next few years, data traffic will dwarf voice traffic on telecommunications networks. Growth in data-traffic volumes far exceeds that for voice, and is driven by increased use of applications such as e-mail attachments, remote printing and fileserver access, and the now omnipresent World Wide Web. The growth of data networking to connect computers with each other and with their peripheral devices began in earnest in the 1970s, took off in the 1980s and exploded in the 1990s. The early 21st century will see ever faster, more cost- effective networks providing flexible data access into ever more businesses and homes. Since the 1970s there have been great advances in technology. For the past twenty years the processing power of computers has continued to grow with no hint of slowing - recall the oft-cited Moore's Law claiming that this power doubles every 18 months. Advances in the data networking equipment required to support the data traffic generated have been enormous. The pace of development from early X. 25 and modem technology through to some of the advanced equipment functionality now available is breathtaking - it is sometimes hard to believe that the practical router is barely ten years old! 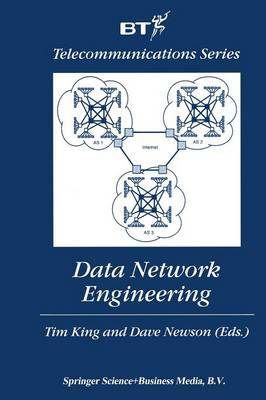 This book provides an overview of the advanced data networking field by bringing together chapters on local area networks, wide area networks and their application.